May 15, 2012, Nakba Day, commemorates the 64th anniversary of the ethnicvcleansing of Palestine in 1947/8 when over 700,000 Palestinians were forced to leave their homes and over 300 Palestinian villages and towns were destroyed. collective punishment in response to the capture and imprisonment of the Israeli soldier Gilad Shalit. It remains intact despite the prisoner swap deal last October. • Ending systematic humiliation, including arbitrary strip searches, nightly raids and collective punishment. 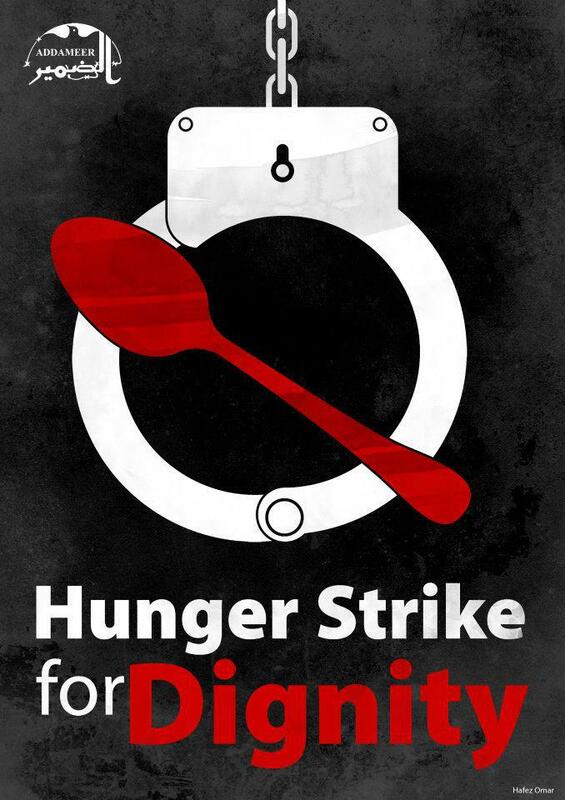 Palestinian prisoners on hunger strike have been subject to retaliation and attempts to break the strike by the Israel Prison Services, including beatings, transferring from one prison to another, confiscation of salt (an act that could have severe health consequences for hunger strikers), denial of family and lawyer visits, denial of access to medical clinics and isolation and solitary confinement of hunger strikers. In a statement critical of Israel’s administrative detention policy, Human Rights Watch said, “It shouldn’t take the self-starvation of Palestinian prisoners for Israel to realize it is violating their due process rights.” Amnesty International also issued a call for urgent action from individuals around the world to contact Israeli authorities about Bilal Diab and Thaer Halahleh. 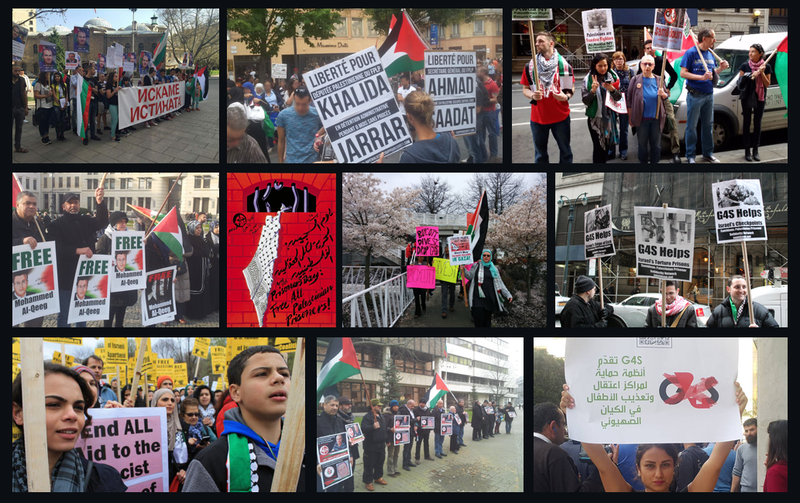 Come out to the rally and join the thousands at Nakba Day events around the world in support of the Palestinian political prisoners.